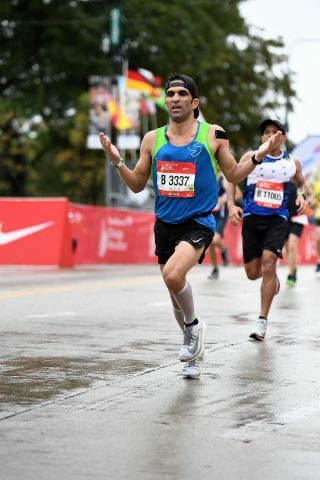 Nick DeRose Runs Even Splits For Sub-3 At Chicago | Run S.M.A.R.T. I executed my race perfectly. While the conditions weren’t ideal, I couldn’t be happier. I couldn’t have done it without Nick’s help. His training was spot on and really prepared me for the race. It had been a few years since I did a sub 3-hr marathon and wasn’t sure that I could still do this now that I’m 40, but I did thanks to him. "First Time I Was Able To Maintain Negative Splits"